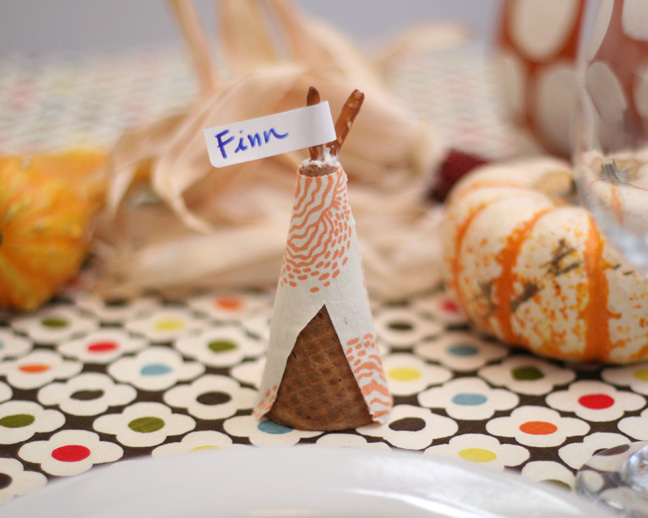 These teepee seating cards were a hit last year at the Thanksgiving kids’ table, and I’m excited to bring them back again. 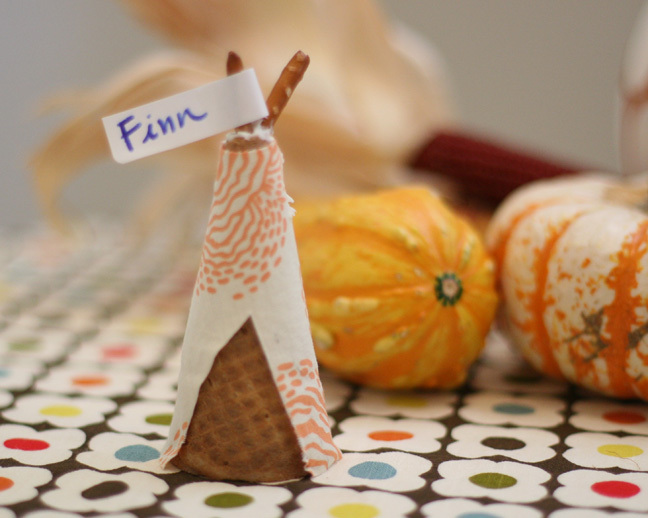 My son’s old enough to help make these Thanksgiving teepee placeholders this year, and they’re so easy that they’re practically foolproof to make. 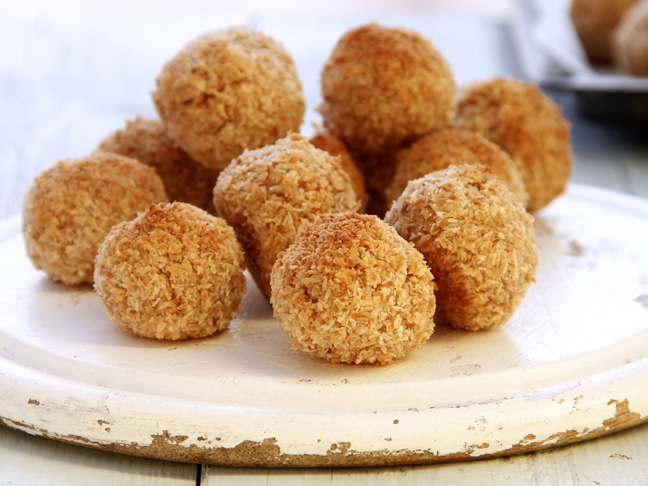 You can even hide a few Hershey’s Kisses under them for a sweet surprise! 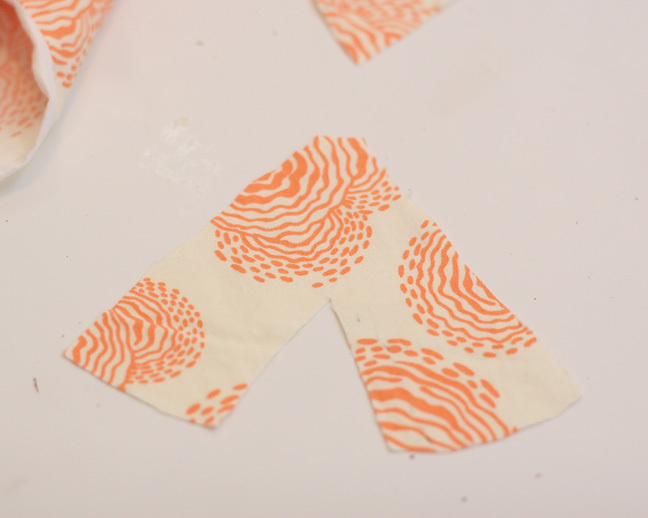 Step 2: Cut out a skinny triangle in the middle. 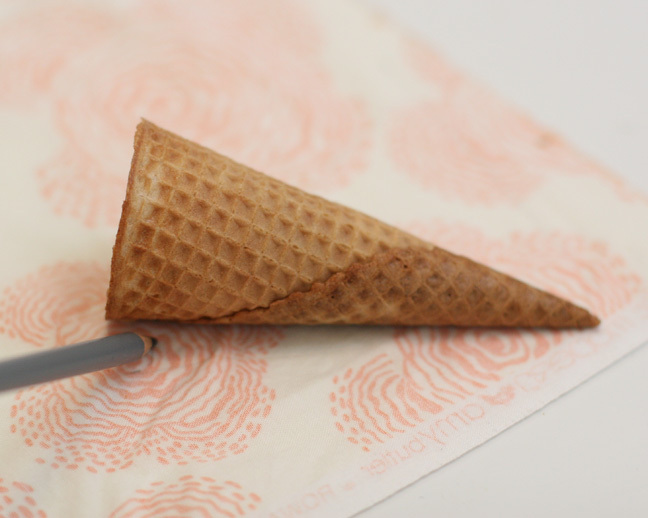 Your shape should look something like this with the top trimmed down an inch. 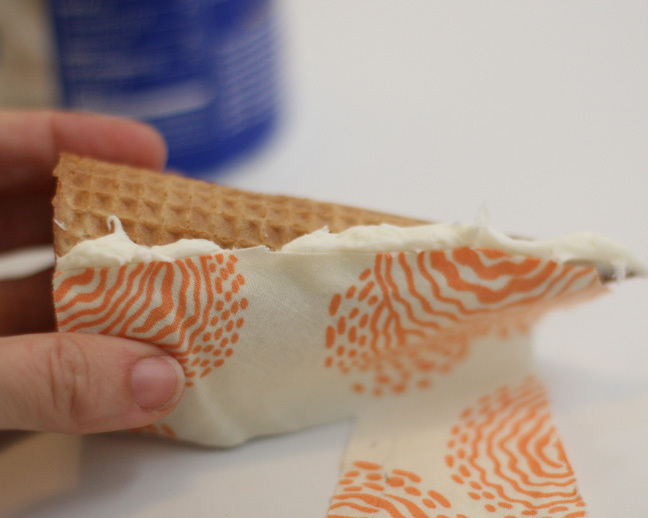 Step 4: Press one end of the fabric into the frosting and wrap it around to the other side. 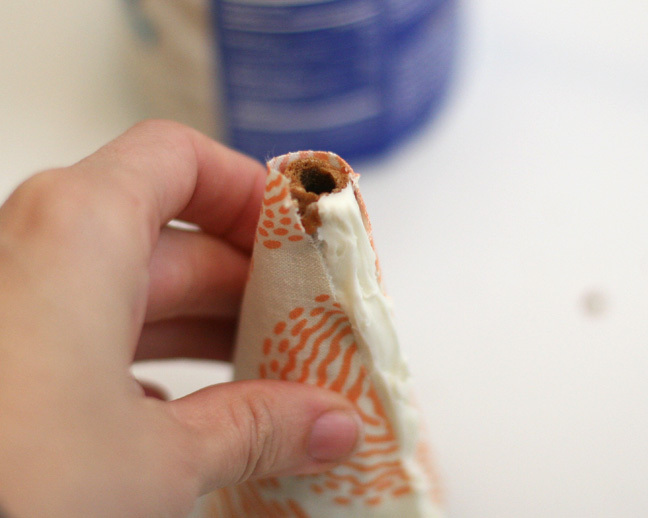 Step 5: Press the other side into the frosting as well, and smooth out the wrinkles. 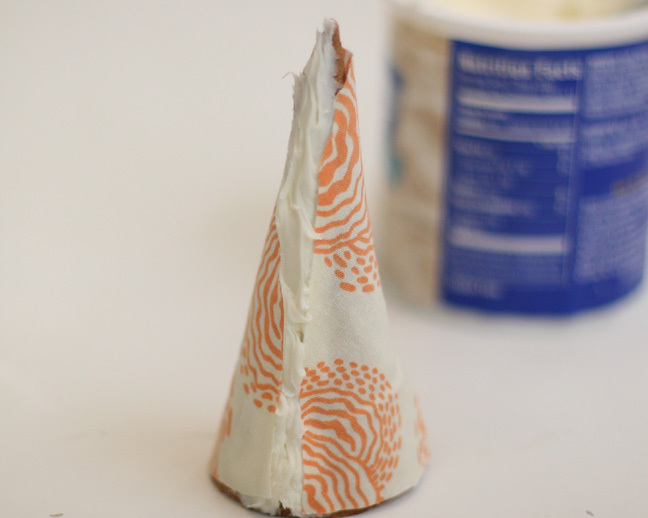 Step 6: Cut the top off of the cone. 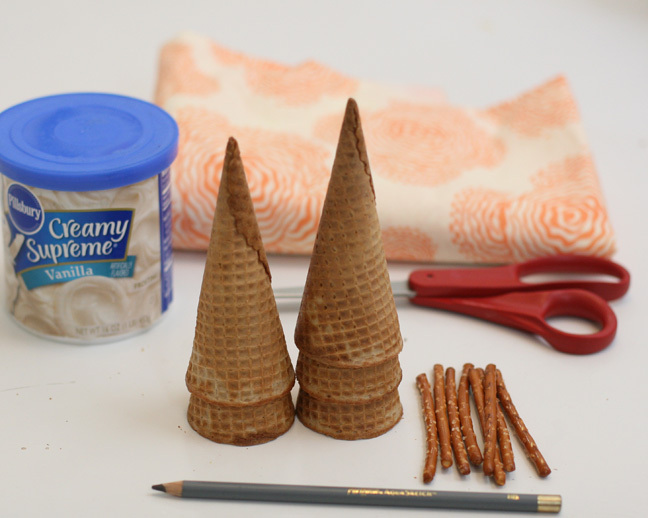 Make a hole that’s large enough to fit a couple pretzel sticks into. 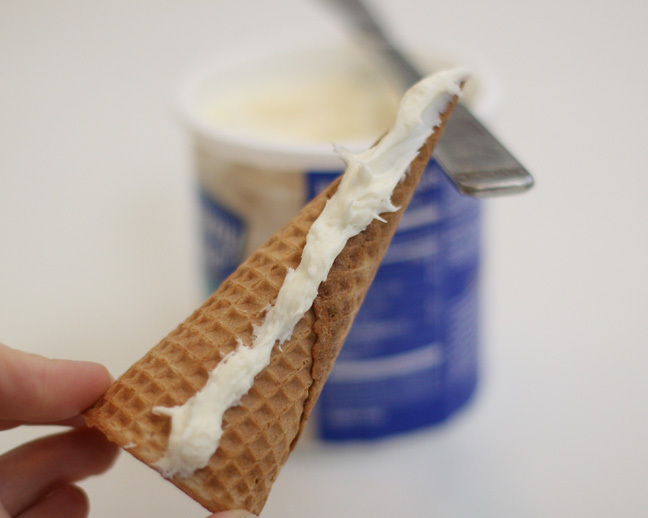 Step 7: Break one pretzel in half and insert both broken ends into the hole using a little frosting to hold them in place. 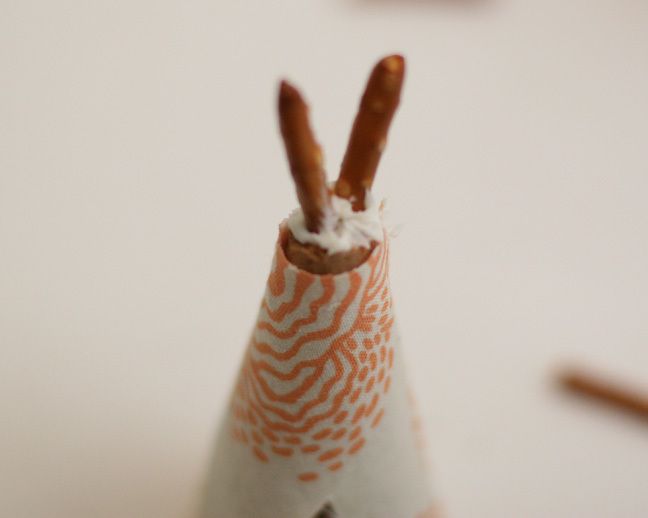 Step 8: Make a name tag for each teepee with a sticky mailing label folded in half.